Complete the look of your cabinet doors with this effortlessly stylish handle in an on-trend nickel-effect finish. 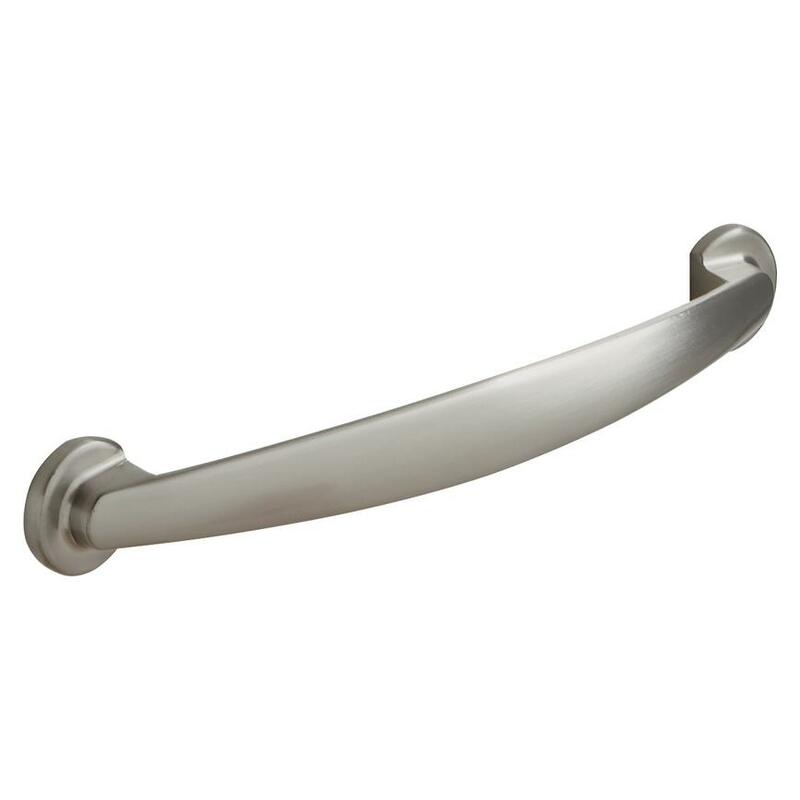 This handle has a simple design and subtle decorative features to make a unique addition to your kitchen or bathroom cabinets. It has a circular rose around its fittings, and a chunky profile which makes it sit proud from your cabinets – great for making a statement.